Farmington Hills, MI - Nationally recognized attorney Robert Gittleman, who is well-versed in dental malpractice law, has issued an announcement regarding two major class action lawsuits in which his law firm is involved. 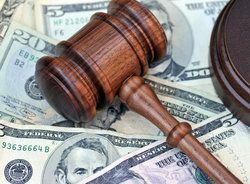 The first, a Michigan class action suit on Citizens Bank overdraft fees, was settled before trial for $2 million. The second, regarding poor dental care in state prisons, is currently gaining traction due in part to Mr. Gittleman's involvement. In each case, Mr. Gittleman has shown concern for fairness and justice. Simpson v. Citizens Bank (U.S. District Court, Eastern District of Michigan; 2:12-CV-10267-DPH-RSW; Jan 31, 2014) presided over by Judge Denise Page Hood. Representing plaintiffs were Robert Gittleman, E. Powell Miller, Ann L. Miller, Jeffrey M. Ostrow, Jason H. Alperstein, Hassan A. Zavareeri, and Jeffrey D. Kaliel. According to court documents the lawsuit involved allegedly unethical practices by Citizens Bank regarding how they collected overdraft fees from customers. Citizens Bank allegedly used software to re-sequence debits made on a customer's account. Rather than sequencing debits in chronological order, it is alleged that Citizens Bank placed the highest debits first and proceeded from there in order of descending amount and no warning of impending overdrafts were issued prior to purchases being made. Allegedly, this would lead to the maximum number of overdrafts on a customer's account, plus higher revenue for the bank in overdraft fees. According to the Daily Business Review article, Citizens Bank agreed to pay $2 million to reimburse customers charged fees from Citizen’s debit re-sequencing and overdraft protection practices. Johannes v. Heyns et al (Michigan Eastern District Court; Case number 2:2014cv11691; Apr 28, 2014) presided over by Laurie J. Michelson. According to court documents, on April 28, 2014, Robert Gittleman and Attorney Daniel E. Manville requested a federal judge issue an injunction ordering the Michigan Department of Corrections to provide more adequate dental care to its inmates. According to an Mlive.com report by Gary Ridley, which was published on May 5, 2014, the lawsuit was filed on behalf of Robert Johannes, a 73-year-old inmate currently serving time for two counts of second-degree criminal sexual conduct. Johannes claims poor dental care in the Michigan prison system led to inmates losing their teeth, making it difficult to eat. In addition, allegedly, there is a years-long wait for inmates seeking dentures or dental bridges to replace their missing teeth. For perspective, partials and full dentures can be obtained within two months at most dental practices. Mr. Gittleman is a strong advocate for the legal rights of dental patients, no matter the circumstances. Regardless of the nature of Johannes' conviction or the convictions of other inmates who may become involved in the suit, they are entitled to a modicum of dignity while incarcerated, and they should not be subjected to any cruel or inhumane treatment while in prison. As Ridley notes in his report, Mr. Gittleman and Mr. Manville are seeking class action status for this lawsuit, which may eventually include thousands of inmates who allegedly have not received adequate dental care while incarcerated. Robert Gittleman Law Firm, PLC has fought hard for clients for decades. An esteemed litigator and lecturer who has been published in both legal journals and dentistry journals, Robert Gittleman has represented clients in multiple federal, state, and appellate courts, including an appeal to the United States Supreme Court. As one of the preeminent dental malpractice lawyers in the country, Mr. Gittleman has litigated in over 30 states.